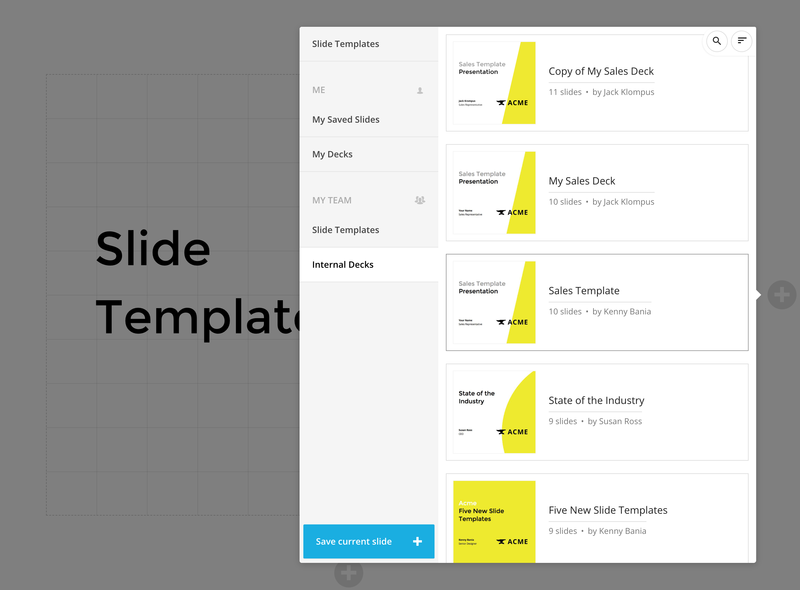 When you add a new slide to your deck you get to choose from a variety of different slide templates. Templates are divided into multiple separate groups which are made available through tabs inside of the template selector. These are available to everyone and maintained by the Slides team. This is a set of templates that only you have access to. 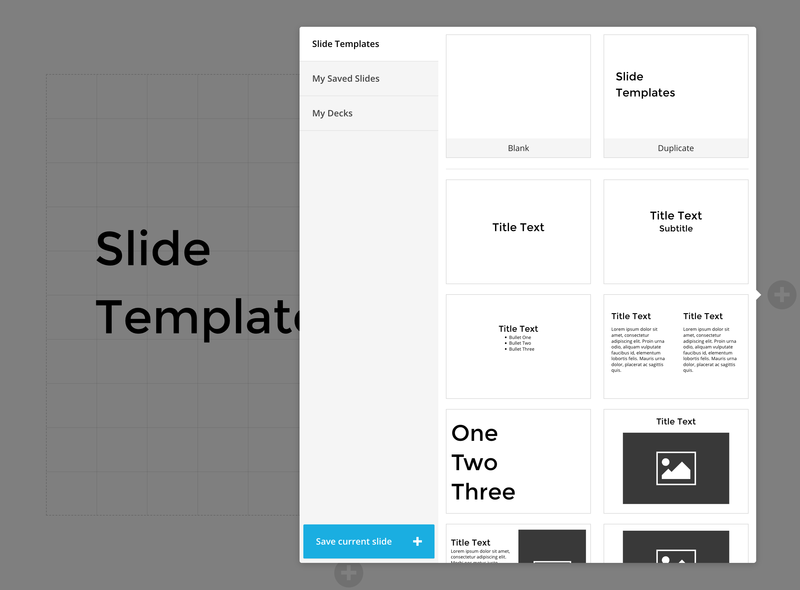 Templates can be saved to this group by using the "Save current slide" button. To delete a saved template, hover over it and press the trash icon. 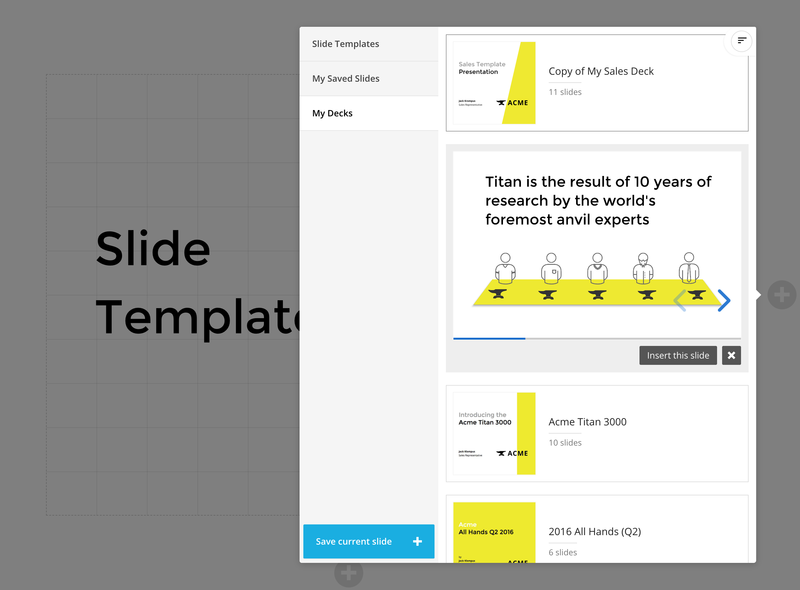 This section allows you to browse and insert slides from any of your other slide decks. Click on a deck to expand it, navigate to the slide you want to insert, and press the insert slide button. 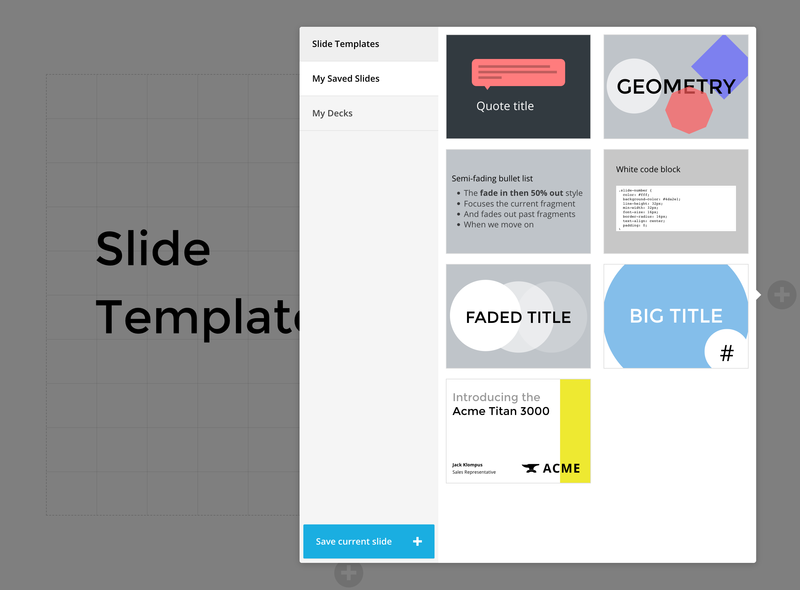 If you are a member of a Slides team you can access additional team-specific templates. These templates are maintained by admins of your team and are available to all team members. 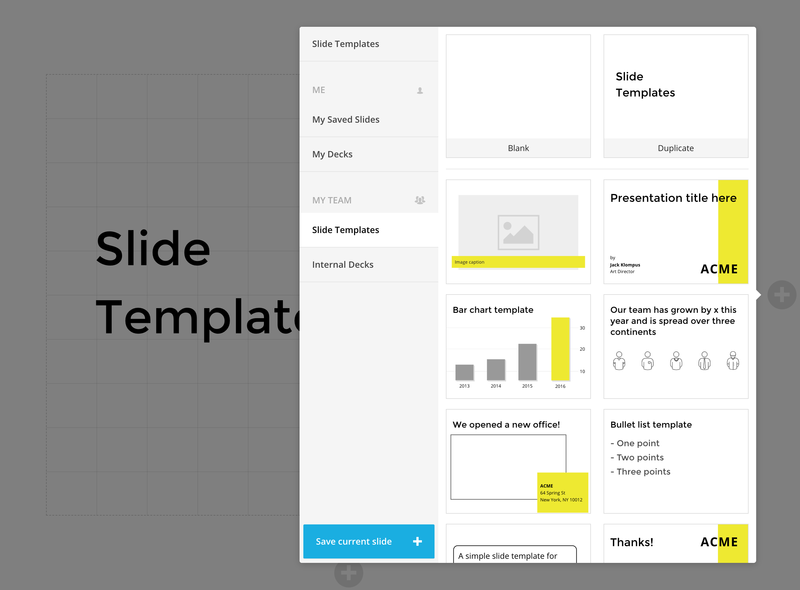 The Internal Decks option lets you add slides from decks that your team members have created. The list of decks can be searched and sorted for easier access.